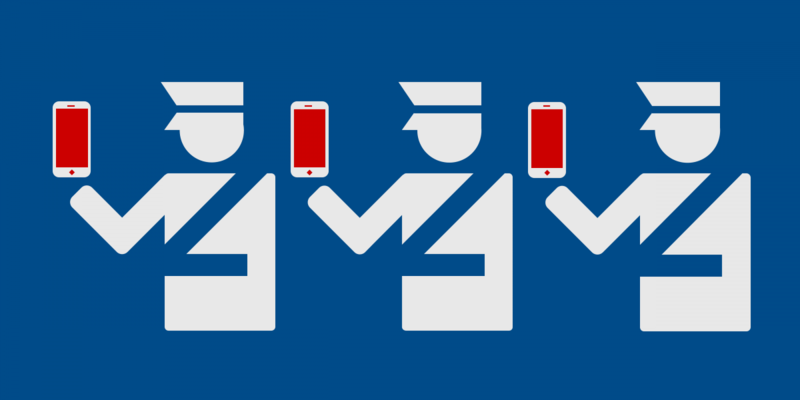 On September 13, 2017, EFF and ACLU filed a lawsuit against the federal government on behalf of 11 travelers whose smartphones and other electronic devices were searched without a warrant at the U.S. border. The plaintiffs are 10 U.S. citizens and one lawful permanent resident who come from across the country and a variety of backgrounds. The defendants are the leaders of the Department of Homeland Security and two of its component agencies, Customs & Border Protection (CBP) and Immigration & Customs Enforcement (ICE). The case was filed in U.S. district court in Boston, Massachusetts. The number of border searches of electronic devices has been steadily growing. According to CBP, border officers are on track to conduct approximately 30,000 electronic device searches during fiscal year 2017, which is over three times the number of searches than in fiscal year 2015 (8,503) and about 50 percent more than in fiscal year 2016 (19,033). CBP and ICE policies permit border officers to conduct searches of travelers’ electronic devices without a warrant or any individualized suspicion that a traveler has done anything wrong. This case challenges these policies as unconstitutional invasions of the privacy and free speech rights of travelers. We argue that border searches of electronic devices violate the First and Fourth Amendments to the U.S. Constitution when conducted without a warrant based on probable cause that a device contains data indicating that the traveler has broken an immigration or customs law. Specifically, we argue that Riley v. California (2014) should apply to the border context. In that case, the U.S. Supreme Court held that given the significant and unprecedented privacy interests people have in their digital data, the police may not conduct warrantless searches of the cell phones of the people they arrest. Following the Court’s analysis in Riley, we argue in this case that electronic devices are nothing like physical luggage—they contain vast amounts of highly personal information. Thus, border officers should first have to obtain a probable cause warrant from a judge before searching travelers cell phones and laptops. We also challenge the prolonged confiscations—for weeks or months at a time—of travelers’ electronic devices without probable cause. This case is the first of its kind since Riley v. California was decided. Read our complaint and EFF's press release. Visit ACLU's case page. Listen to the recording of our press call (September 13, 2017). EFF's 2017 traveler's guide provides advice on how to protect digital privacy when crossing the U.S. border. Ghassan and Nadia Alasaad are a married couple who live in Massachusetts, where he is a limousine driver and she is a nursing student. Watch a video about the Alasaads' story. Sidd Bikkannavar is an optical engineer for NASA’s Jet Propulsion Laboratory living in California. Diane Maye is a college professor and former captain in the U.S. Air Force living in Florida. Zainab Merchant, from Florida, is a writer and a graduate student at Harvard University. Akram Shibly is a filmmaker living in New York. Watch a video about Akram's story. Matt Wright is a computer programmer living in Colorado. Watch a video about Matt's story.